Haggis is not just for Burns night! TWO specially constructed Endoline high speed packing lines have helped leading haggis producer Macsween meet their objective in automating the production of a new haggis brand to meet retail demand – and assisted in increasing output by 200%. Macsween is a third generation family business which began life as a butcher shop in Edinburgh in the 1950s. 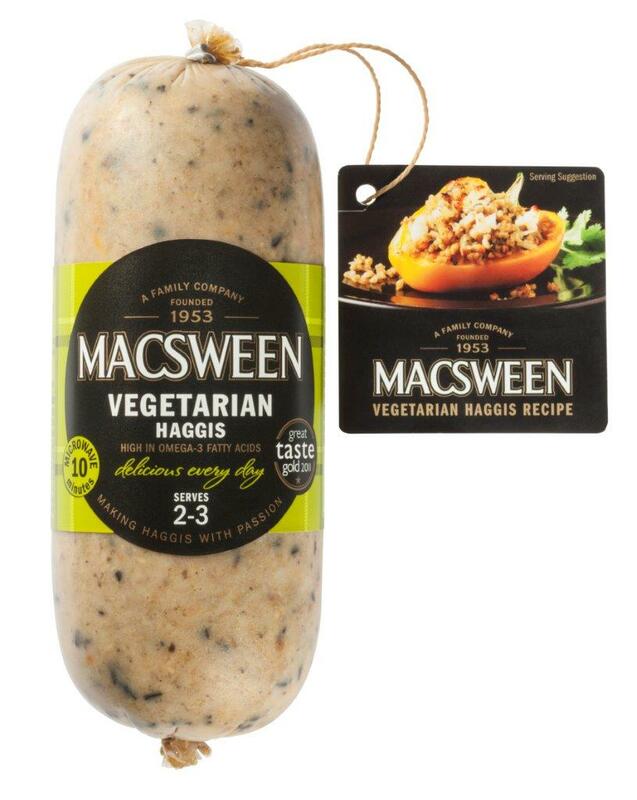 Today the Macsween family operate the production of their haggis products from their factory in Edinburgh supplying the UK’s supermarkets, wholesalers and online customers. While in demand all year round in Scotland, the requirement for their variety of haggis recipes was seasonally limited from the rest of the UK. Following market research and focus groups Macsween developed the ‘Delicious Everyday’ range to offer a variety of haggis based delicacies, including black pudding and vegetarian options, to appeal to non-Scottish customers. “The Delicious Everyday range opens haggis up to a brand new audience as customers realise the diversity of this ingredient that they can use in their everyday cooking,” explained managing director, James Macsween. Automating a packing line was a first in the 60-year lifespan of Macsween. The company contacted Murray Packaging, Endoline’s Scottish distributor, to install two packing lines. Both lines needed to be installed within the original factory and space was tight so Murray Packaging and Endoline designed a ‘cruciform’ system with three conveyors running in parallel. Two Endoline power roller conveyors were installed at the start of each packing line where a manual worker puts the packaged product onto these once it has been run through a chub labeller. “Each of the packing lines has an elevated conveyor which runs the product from the power roller to a packing station where four manual packers are ready to pack the products into a formed box. A single, fully automatic 248 case erector feeds both of these packing lines and formed cases are transported to the packing stations via a conveyor running above the packing stations. Ian Murray, managing director of Murray Packaging explained, “A control system was integrated into the conveyor to accumulate and control the in-feed of the empty boxes to work in tandem with the pace of the manual operators so as each box is removed from the line another is moved along ensuring a constant smooth flow. Once the packers have filled the case with the desired quantity of product, the full case is placed by the packer onto a third power roller conveyor, which runs parallel with the packing station, to be sealed. Two fully automatic Endoline 602 case sealers are fitted at the end of each line to close the top flaps of the boxes and accurately tape the tops for a flawless finish. Both lines can run up to a combined 40,000 cases of the ‘Delicious Everyday’ range per day, increasing Macsweens overall output by 200%.